This ad is for the Dallas/Fort Worth Kroger stores. 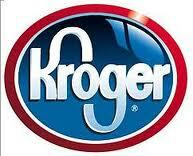 Most Kroger stores in this area triple coupons up to 39 cents value and double coupons up to 50 cents value everyday! Kroger will double/triple 3 identical coupons per transaction. *Purchase 3 Hallmark Cards and Save $1.00 off your total shopping trip. This week Kroger has the Buy 10 Save $5 Promotion. You may mix and match any of the 10 items listed below. Prices listed are the final prices when you buy 10 of the mix and match items. Previous postLone Star Park Kentucky Derby Hat Contest and Mother’s Day Diamond Dig!